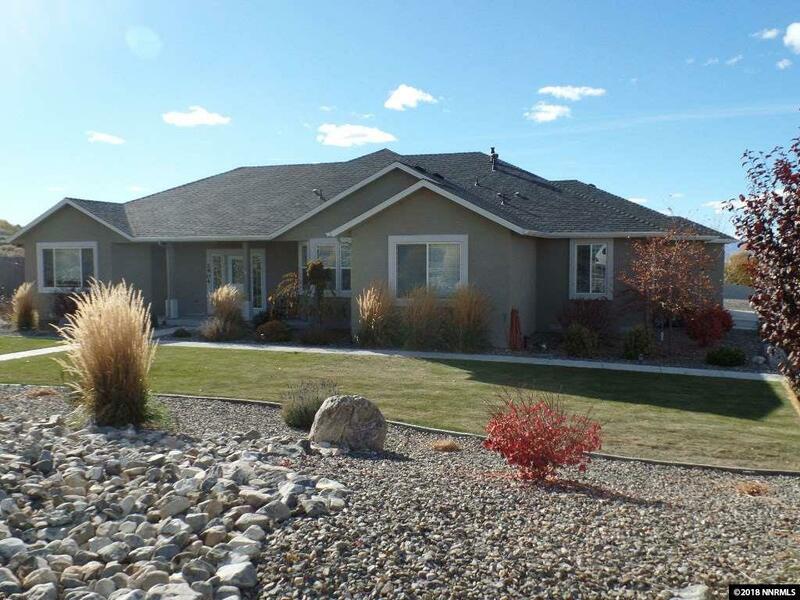 Stunning 3 bdrm, 2.5 bath, 3 car garage house on 0.65 acre lot. 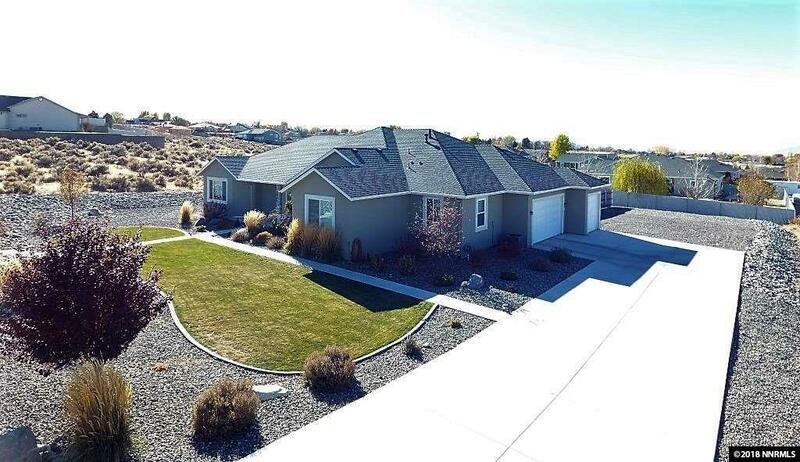 The property is beautifully landscaped w/grass areas surrounded by rock beds & a variety of shrubs & small trees, on auto drip & sprinkler; covered patio. 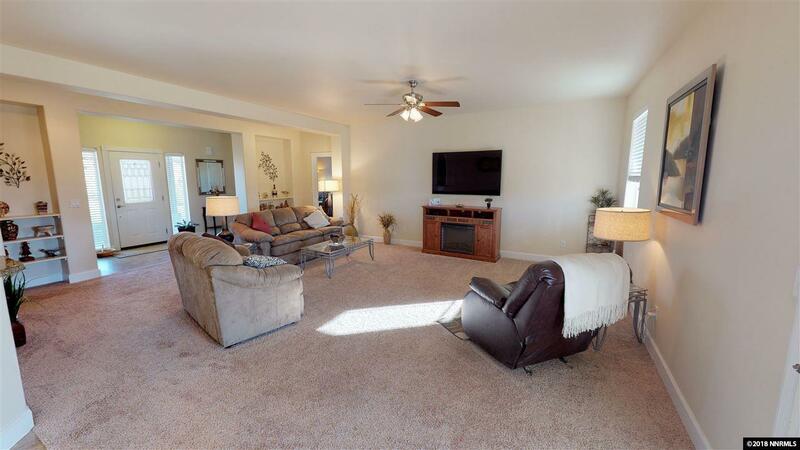 House is pristine in condition, w/many upgrades throughout. 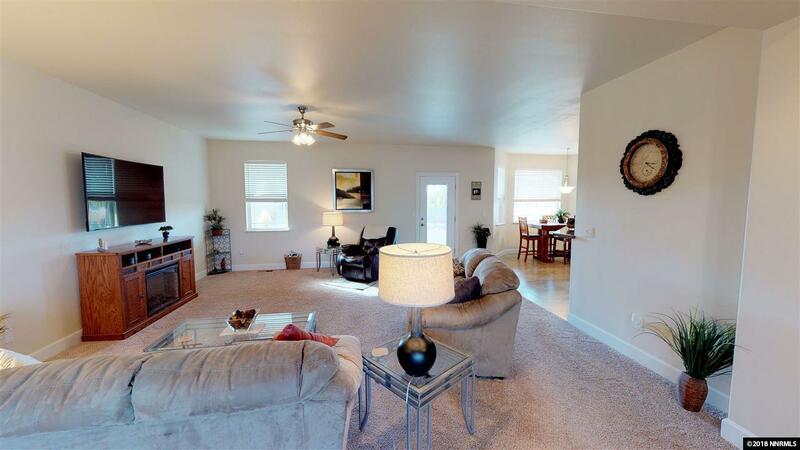 Floor plan is open & inviting with tall ceilings. Kitchen is spacious w/ plenty of cabinet and counter space, breakfast nook & pantry. Formal dining room. Master suite is amazing. Lot has plenty of room to park RVs, & a future shop.